PORTLAND — Join us for an organ extravaganza with the Friends of the Kotzschmar Organ Thursday, Sept. 13 from 5-7 p.m. 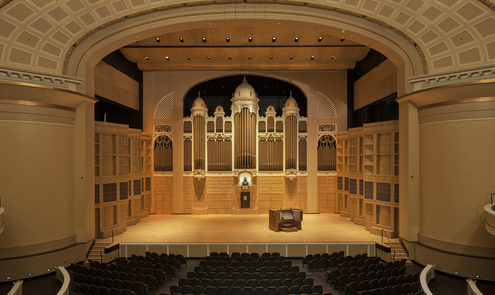 This musical event will include demonstrations of a variety of Kotzschmar organs as well as an exclusive look at Peter and Pamela Plumb’s 1909 organ belonging to Alfred Brinkler, creator of the Maine chapter of the American Guild of Organists. The event will also include light fare and libations, with tickets $30 for the public and $20 for Victoria Mansion members and trustees and docents of the Friends of the Kotzschmar Organ.